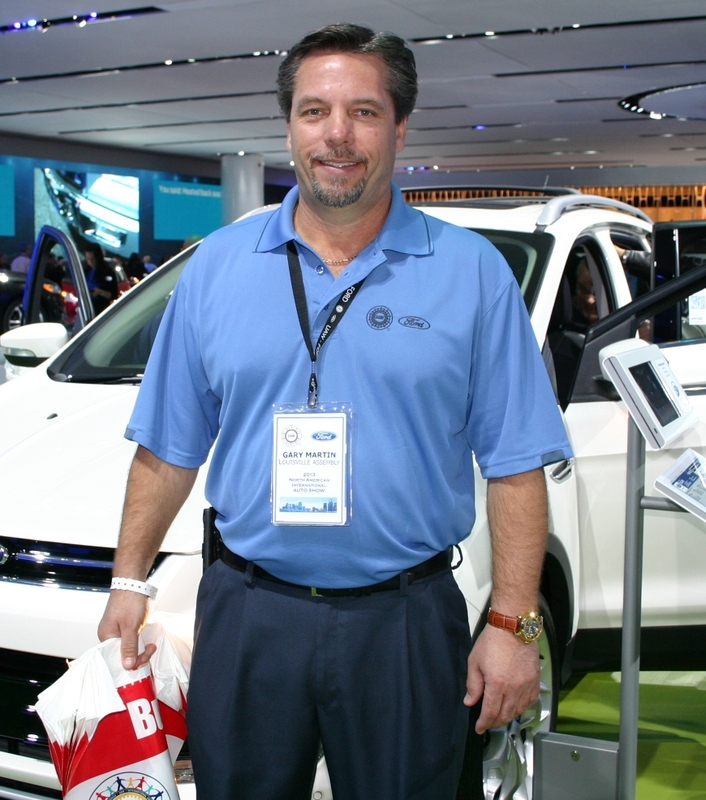 Even during the darkest days of the U.S. auto industry, when industry giants GM and Chrysler faced bankruptcy in 2009 and threatened to take hundreds of supplier firms with them, the Detroit Auto Show was still a place to see innovative car designs and the latest in automotive technology. Back then, however, the Motor City’s annual celebration of its hometown industry wasn’t much of a place to go job-hunting. Tens of thousands of people working in design, engineering and production had already been laid off; and hundreds of thousands more jobs were at risk. 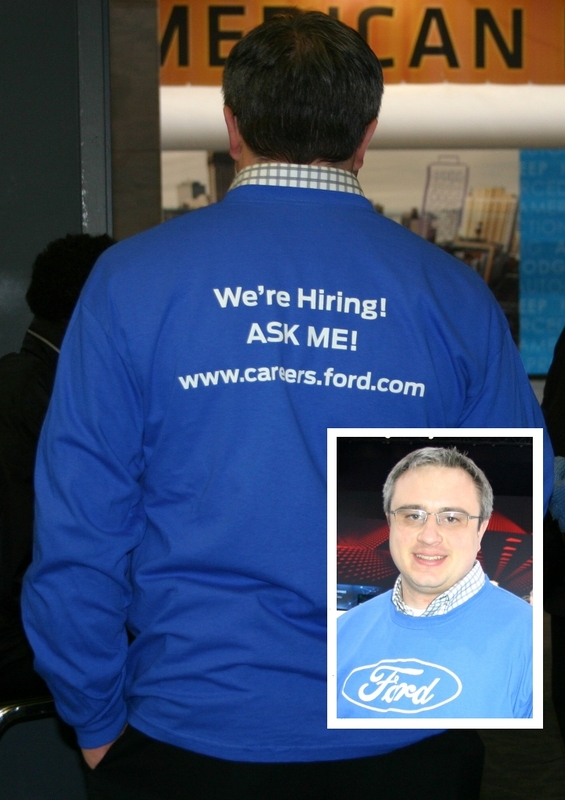 Ford IT Staffer Kaz Adomkaitis inset, and the T-shirt he was wearing at the 2013 Detroit Auto Show. Four years later, it’s a different story. Ford is hardly alone. Fuel efficiency of the U.S. motor vehicle fleet reached a record 23.8 mpg in 2012, according to analysts at the University of Michigan’s Transportation Research Institute. GM reports it has now sold over a million vehicles which achieve better than 30 mpg. As reported by the ClimateDesk.org, the Detroit Free Press and other news organizations, current and new models on display at this year’s Auto Show are moving towards new federal 54.5 mpg standards, while still delivering performance capabilities demanded by U.S. consumers. GM introduced a new electric Cadillac at this year’s auto show, harnessing the technology developed for the Chevrolet Volt. Chrysler is showing off several new Jeep models which break the 30 mpg barrier, once unheard of territory for an SUV. Ford made a media splash with the Atlas, a concept version of the best-selling F-150 pick-up truck, equipped stop-start technology and aerodynamic features intended to boost fuel efficiency. 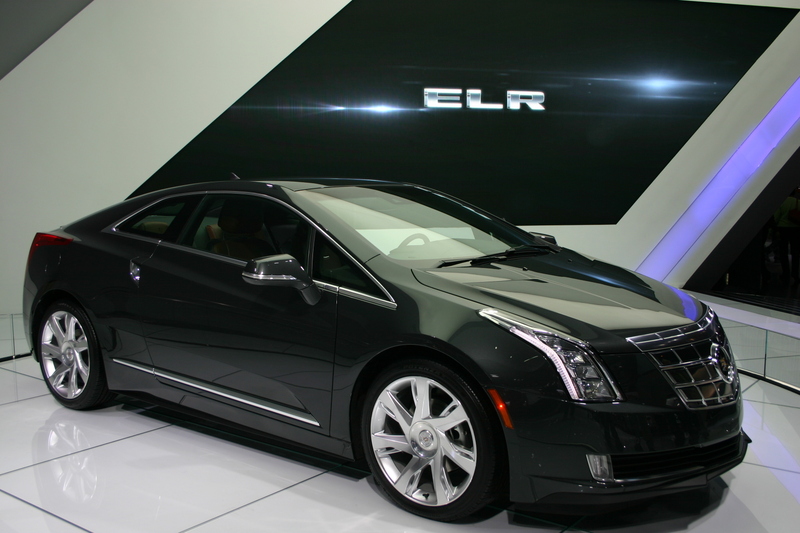 The new Cadillac ELR, to be built in Detroit, was introduced at the Auto Show. The latest wave of high mileage, low-emission vehicles will save money for consumers, reduce U.S. dependence on foreign oil, and cut down on the pollution which leads to global warming. They’re also creating work for auto industry recruiters like Kaz Adomkaitis, as Ford and other companies add new hires to meet new demand. 3,600 jobs saved at GM’s Lake Orion factory, where the company re-tooled to produce the Chevy Sonic, which tops out at 40 mpg highway when equipped with a manual transmission. It’s the first sub-compact built in the U.S. decades. Leading off its auto show coverage, the Associated Press highlighted the Sonicas an example of GM’s financial, product and employment rebound from 2009 to 2013. 300 jobs added in Smyrna, Tennessee, where Nissan has started production of batteries and vehicles for the all-electric Leaf. The company received a $1.4 billion U.S. Department of Energy loan for the project, which includes the nation’s largest lithium-ion battery plant. Company officials say more jobs may be added, depending on market demand. 50 jobs added, $23 million invested in Marysville, Ohio, where Honda will begin building a new model of the hybrid Accord later this year. It’s the third Honda hybrid built in North America. Honda revealed a new Accord plug-in at the Detroit Auto Show. 40,000 new hires projected at U.S. auto suppliers in 2013, according to the Center for Automotive Research. Fitch Ratings, a global credit rating agency, says auto parts suppliers ‚Äì especially those with expertise in powertrains, drivetrains and electrification — will be big winners as automakers work to meet new 54.5 mpg standards. Denso, a Japanese parts supplier, will invest $1 billion in the U.S. and looking at a plan to hire 400 new workers in Battle Creek and Southfield. The company is benefiting, reports the Detroit Free Press, from a push towards lighter automotive components, which reduce weight and conserve fuel. Denso’s new generation of automotive radiators, for example, weigh 30 to 40 percent less than previous models. Roger Kerson is a Michigan-based media consultant for labor unions and environmental organizations. He was formerly the director of public relations at the United Auto Workers.